FUE Hair Restoration (Follicular Unit Extraction): Smarter, Better Hair Restoration! FUE Hair Restoration (Follicular Unit Extraction) is a revolutionary, minimally-invasive method of hair restoration that enables both men and women to fight hair loss and naturally regrow their own lush, full hair. FUE (Follicular Unit Extraction) is not hair grafting surgery; it is a state-of-the-art device that enables hair transplantation without the need for major surgery and extended recovery times. 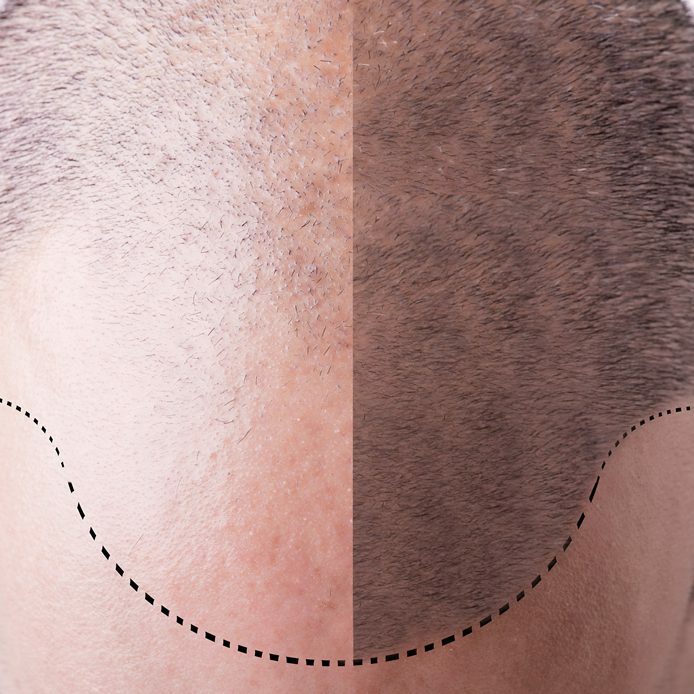 FUE involves gently removing hair grafts from a donor site on the back of the head (or other area of the body) and immediately collecting, sorting, counting, and storing each graft in a sterile, highly controlled environment. The grafts are then immediately implanted into tiny openings no larger than a pinprick. The rapid pace of the grafting process promotes the long-term survival of the grafts and improves their ability to regrow, while the highly-trained staff at SkyBalance Med Spa will use precise application techniques to assure the proper angle, density, and placement of the grafts for optimal, natural-looking results. Why is FUE Hair Restoration the smarter, better hair restoration choice? *Individual results vary, and are not guaranteed. We provide state-of-the-art treatments and services to make your health and aesthetic goals a reality. As a team, it is our priority to help you achieve your dreams. We offer a complimentary consultation for all of our services.